Last Saturday, Susannah Thompson, of South Bristol Voice Therapy, hosted an informal meeting of people from trans groups in the Bristol area. Informal in the sense that Susannah is finding her way in this area, having worked with the Laurels GIC in Exeter. She’s found that she sometimes encounters clients who are themselves completely ignorant of trans matters, and wants to be helpful. Enlightened self interest, if you like. The meeting was held at the request of Joanna, a regional organiser for the Beaumont Society. So I had serious misgivings about going; the BS have a reputation for being a bit behind the times and out of touch, a reputation that was in no way enhanced after they made a couple of major bishes last year. Still, an organisation is only as good as the people in it, and maybe things have changed. There were people there from Crossroads (a Bristol social group for trans people), Gloscats (ditto for Gloucester), and Avon Trans Women (Bristol support group for MtF transsexual people). Also an officer from the Avon & Somerset Constabulary’s LGBT Liaison Team. And there was me, and T, from the Transbristol group. The main point of the meeting was to attempt to identify ways in which people who need help, information and support can get it. So if all the groups in the area can establish connections, they can pass on requests and information if they encounter something they can’t deal with themselves. Which is obviously a good thing. A shortcoming that was obvious even before the meeting began was that the trans people there came from a fairly narrow demographic- white, middle-aged, MtF. No young people, no FtM’s, no queer identities. There’s this WordPress site, where information can be posted, and support services listed in the drop-down menu above. There’s an email address, transbristol@gmail.com. This is a potentially useful means for people outside the group to get in touch. It has failed recently because I couldn’t face opening the inbox. Personal issues. Sorry. T has undertaken to begin monitoring the email. Anyone else who fancies doing it, do put your hand up. There’s also the Facebook page, where conversations and connections can take place. So go there if you want to and are able to. And if not, post here, or try emailing. November 20th is the annual International Trans Day of Remembrance, on which we remember those people who have been murdered during the past year simply for being trans (see here and here for more information). Bristol City Council is kindly providing a room in City Hall for a local event. This will take place on November 20th from 6:00pm to 7:00pm. Rooms in City Hall are not allocated until the day of the event, but there will be signs in the lobby telling you which room we are using. If you have any questions please ask them in comments below or email us at the address in the sidebar. 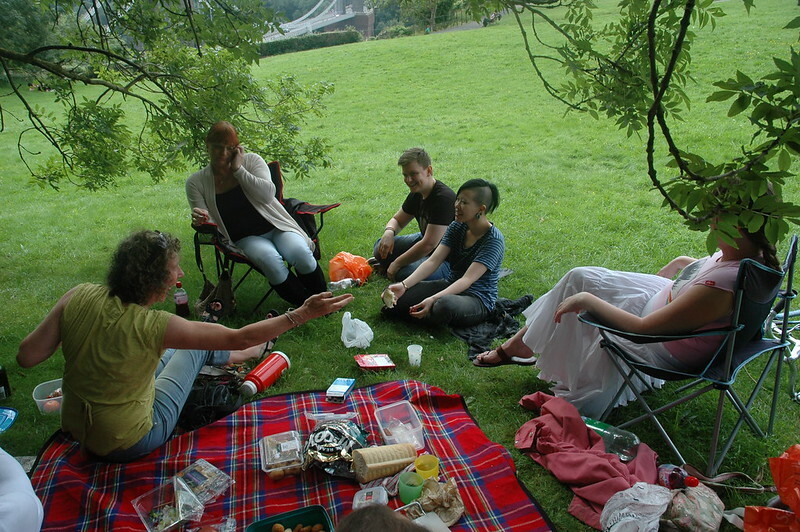 We’ll be meeting up for a picnic, on Observatory Hill, on Sunday afternoon, from about 1 o’clock onwards. That’s Sunday 5th May. Observatory Hill is the one overlooking the Clifton Suspension Bridge. Come along! -doesn’t matter if you don’t know anyone; most of us hadn’t met before, the last time, either. Bring food for yourself, or to share, or just bring yourself. Whatever. Make it up as you go along. On Wednesday 24th April, Trans Media Watch ran an event at the House of Commons, in support of an Early Day Motion condemning the continued misrepresentation of trans* people in the media. This action comes after TMW’s submission to Leveson, and the later hounding by the press of Lucy Meadows, the trans* teacher who subsequently committed suicide. The intention was to demonstrate that the case of Lucy Meadows was not an isolated one, and that the Daily Mail, and in particular Richard Littlejohn, are not the only people with bad form when it comes to reporting trans* issues, especially odious though they may be. Evidence was heard from three trans* people, Teraina Hird, Delia Johnson and Dru Marland. They described their own experience of press bias and misreporting. Jane Fae, trans* media pundit, described the imbalance between the ease with which the press can misreport a story, and the difficulty with which a retraction can be forced upon it. Bristol was well represented at the meeting, with MPs Stephen Williams (Lib Dem, Bristol West) and Kerry McCarthy (Labour, Bristol East) signing up to the EDM. That this House condemns misrepresentation of transgender people in the British media; notes that some media organisations continue to misrepresent transgender people deliberately and publish their private information in spite of the findings of the Leveson report and in breach of the editors code; believes that such misrepresentation has an extremely damaging impact on those individuals who are named, on the wider transgender community and on the public’s perception of transgender people; condemns the harassment of transgender people, their families and colleagues, of which the experiences of Lucy Meadows are the latest; calls for the Press Complaints Commission to issue a public notice to editors immediately reminding them of their existing obligations under the letter and the spirit of the editors code when reporting transgender stories; further notes with concern that the reporting of Lucy Meadows reflects the wider culture of inappropriate language when it comes to stories relating to transgender people; and further calls for an immediate end to misrepresentation of transgender people in the press. …kicked off on Friday night with a launch at the Counts Louse (Bristol’s City Hall, as it has been renamed by new Mayor George Ferguson). There was much speechifying, by both Bristol mayors (the chap in the big hat – Peter Main, Bristol’s first openly gay mayor – and the chap in the red trousers, George Ferguson), and by people from loads of Bristol LGBT organisations. And then Sing Out sang, to finish off the evening. It didn’t make for the most lively of evenings, but then at least we felt we’d arrived, rather than being outside hammering on the door. And the biscuits were good. “Must get a job on the Council”, I remarked to House Teenager as I tucked into the butterscotch shortbread. 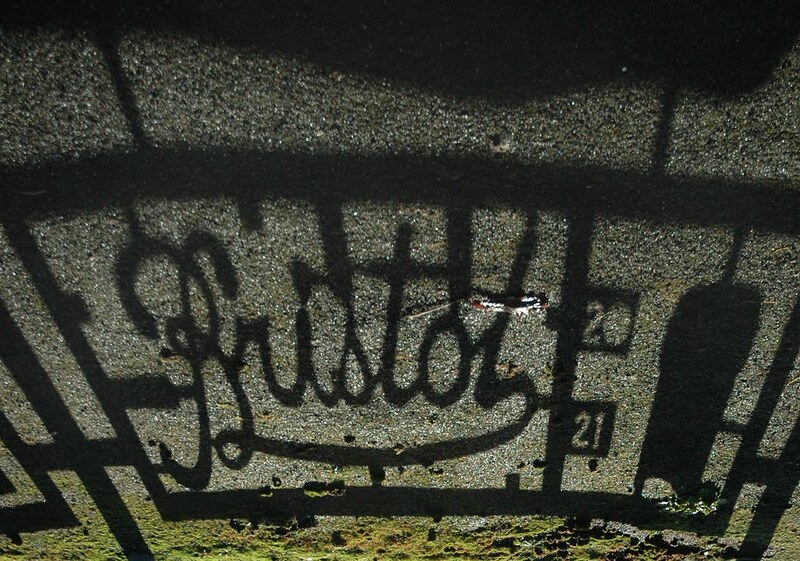 A major first for Bristol! Find out about Bristol’s Lesbian, Gay, Bisexual and Transgender (LGBT) past and the ways people have fought to shape and control their lives since the mid 20th century. The stories are told using specially recorded interviews with over 40 people young and old, loans from national collections, objects, memorabilia and works of art. Cheryl Morgan, one of the organisers of the exhibition, gave something of the trans perspective during her speech. …though it was far too crowded to get a look at the exhibition! …had to sneak back later to do that. Look; Cheryl’s GRC, and a bunch of stuff from my seafaring days. Loads more stuff as well. Get down there! Since February 2011 MORF have been redistributing free binders to trans guys all over the UK and around the world who need them. The free scheme (all you pay is the postage) has so far redistributed over 60 binders and we want to continue giving out as many as possible. If you are interested in recieving a free binder please email us at binders@morf.org.uk and we will send you a copy of the current binder catalogue with all the relevant information you should need. We have pleasure in inviting you to our Annual General Meeting on Wednesday 28th November 2012 from 6 – 9pm at Council House on College Green. We are keen to recruit more members to our Management Committee, please let us know in advance if you are interested in joining our team and working on any of our existing projects (Walk Out and Diversity in Schools) or have ideas for new ones. 6:00 – 6:30 Refreshments and networking. 7:30 – 8:30 Open Discussion, where we will report on the progress of the Walk Out and Diversity in Schools projects. You will be invited to join in and determine their direction and put forward other issues or thooughts you would like to share. 8:30 – 9:00 Refreshments and networking.